Imagine the power of a million, two million people who learn, understand and act on an injustice over 200 years old – the theft and destruction of the very icon of world heritage; democracy; foundation and principles of architecture; and, the capacity of human endeavors, the Parthenon. The IOC-A-RPM, founded in 1981, is the first of its kind. Afterwards, Melina Merkouri, actress and Minister of Culture for Greece, launched her campaign that then inspired the formation of the British Committee for the Reunification of the Parthenon Marbles. “We need to always remember that the case of the Parthenon Marbles is unique because of its size and historical importance. Almost 50% of the surviving collection is exhibited in the British Museum. We are not talking about one statue, one relic or a piece of treasure but for a collection of numerous sculptures and fragments. The Greek side has expressed many times that they don’t claim the return of every single piece of ancient fragment from every museum in the world. By returning the Parthenon Marbles based on the merits of this individual case there will be no “Opening of the flood gates”. The Parthenon a temple built in 447 BC to the patron goddess of Athens, Athena, who according to Greek mythology represents the wise, heroic warrior with courage, justice and fairness while also representing the arts. An architectural feat completed in 15 years, the Parthenon integrates the function of the temple with the visual experience of the visitor or in other words a manifestation of the Golden Ratio between geometry and the arts. The very structure of the Parthenon, its creation, function and history represents human accomplishments on a monumental scale as well as, sadly today, the human capacity of greed on a grand scale. At the center of this campaign is the questionable “acquisition” (or as some may say – theft) by a diplomatic representative in an occupied country. During the occupation of Athens by the Ottoman Empire, over 50% of the Parthenon sculptures were taken by then Ambassador and Lord Elgin for his home in Scotland that were later purchased by the British Parliament for the British Museum. The campaign for the return of these Parthenon sculptures is gaining momentum, especially via social media. The timing is remarkable in that by engaging social media tools – such as Twitter, Facebook, Vine, ThingLink and YouTube – people are connecting around the world who otherwise may never have met. Together these global citizens are acting and respectfully demanding that the British Museum return the sculptures to the Acropolis. “The best weapon against of damage or looting of cultural property I believe is the widespread education of one nation’s public. People need to know about them so they can protect them. Also open communication with the World Community and international collaborations and cultural protection treaties would be beneficial. The second International Colloquy Parthenon: An Icon of Global Citizenship in November becomes a critical gathering for experts and activists. The question becomes not ‘if’ but ‘when’ the British Museum will return the sculptures so as to be a good global citizen. For every day that passes a real, restored, revitalized and now through social media, virtual Parthenon of the 21st century is materializing, representing the very best of Athena in human endeavors – democracy, global cooperation, innovation in science and technology, the arts, architecture and ultimately, justice. Please share other organization to add to the list. Tags: Acropolis Museum, Acropolis of Athens, Architecture, arts, Athena, Athens, British Museum, Facebook, Golden Mean, Golden Ratio, Greece, Greek mythology, I am Greek and I Want to Go Home, international colloquy, international organizing committee, IOC-A-RPM, Marbles Reunited, Melina Merkouri, Nicholson Museum, Nikolaos Chatziandreou, Parthenon, parthenon marbles, Parthenon Sculptures, ThingLink, Twitter, UNESCO, University of Sydney, Vine, World Heritage, YouTube. Bookmark the permalink. Previous post ← Poll: When you buy art or artifacts, do you know difference between what is looted or not? There are endless possibilities and opportunities for Social Media to be part of a successful campaign. 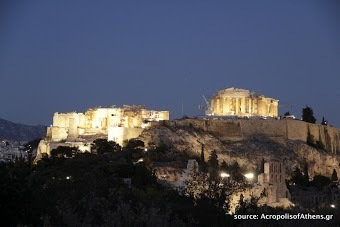 First of all we will be able to showcase to the world the importance of the Parthenon as a Global Icon. Activism and campaign practices is one of the themes of our November Colloquy and we hope to have global participation and support for this event. Visit our website for more information. Thank you Keri for the article and the opportunity to communicate with your readers. It seems as though every day I see via Twitter and Facebook new members joining the campaign from around the world. Is there a master list or petition of global members supporting the reunification? Change.org or similar? The campaign is global with many different parties trying their best. During the Colloquy in November we have a Workshop to discuss “Activism” and the ways the world wide campaign can be optimised. We are also looking into ways for an interactive participation via Social Media platforms and streaming of the Colloquy’s proceedings online. All good ideas suggested by supporters but there is cost involved. We will need everybody’s support for this event to be a success and the ways you can support either as an individual or a business can be found on our website. We also use Crowdfunding to raise funds for a successful event. Wonderful to hear all of the possible social media platforms that may be used – especially having the discussions online. What is the link for your fundraising? Perhaps readers would be interested in supporting your efforts?